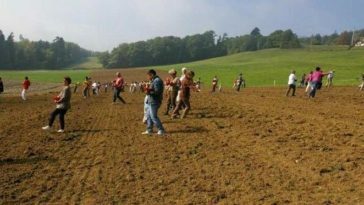 In 2006 the Swiss BD-farmers Ueli Hurter and Peter Kunz launched the project to actively involve people in the source of our food: seeds. 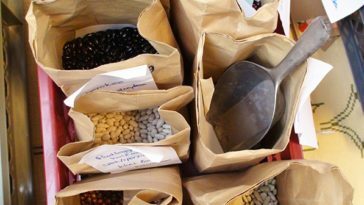 Another objective is to raise awareness about the threat of the loss of agro-biodiversity as a result of the industrialisation and concentration in the seed market. 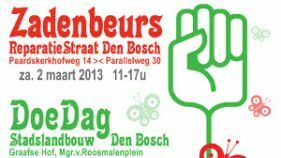 Brussels 17/18 april 2011 – International Days of Action for Seed Sovereignty: The annual International Day of Peasant Resistance was celebrated this year with a European wide seed swap fair in a Brussels community centre. Over thirty seed initiatives from ten different countries offered agricultural seeds of old and traditional food crops. This ancient farmers tradition of exchanging seeds had been almost forgotten in the industrial age, but has been revivied in dozens of regional and national seed swap events. 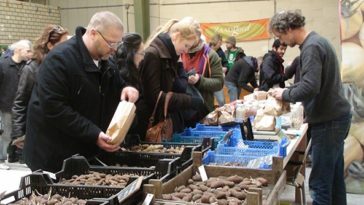 This fair was the first where seeds from all over Europe were swapped. “Fairs like these contribute greatly to agricultural diversity” says Jürgen Holzapfel a farmer who specialises in growing rare species of grain, and co-organiser of the event. Flevoland, March 27, 2010 – Today a CSI Crime Seed Investigation unit visited several greenhouses at the national event Come into the Greenhouse visualising what the future may look like: world’s largest seed company Monsanto will check growers for the presence of suspicious crops and prevent them from using patented seeds or accuse them of patent breach. 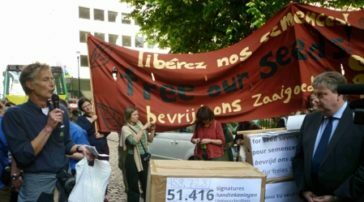 With this action A SEED wants to draw attention to the international campaign ‘No Patents On Seeds’ against applying patent law on seeds and animals. 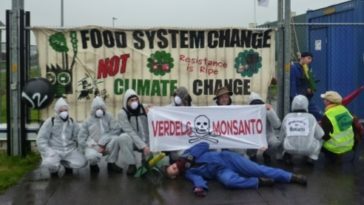 November 2nd 2010, Enkhuizen, The Netherlands – Today around thirty climate conscious citizens paid a visit to the main premises of international agri-chemical giant Monsanto in the Netherlands. The aim was to find clues about the company's hidden agenda. Their suspicions were aroused by the company's new claims to feed and fuel the world, which somehow do not match Monsanto’s current atrocious human rights and environmental record. 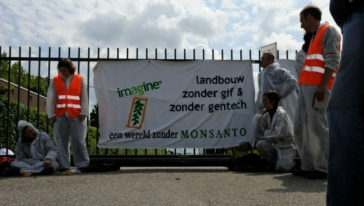 On May 17 2010 about 40 persons of the action group 'Roundup Monsanto' blocked both gates of the Monsanto seed company in Bergschenhoek (near Rotterdam). 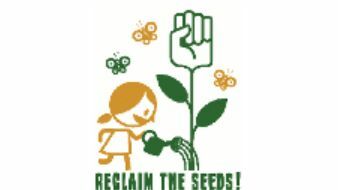 'Roundup Monsanto' wants Monsanto to back out of the seed market, and demand an end to patents on seeds and living organisms. Monsanto and other agro-chemical multinationals are lobbying the Dutch government and the EU for legislative changes that would make it easier for large companies to take control of the seed market and food production. 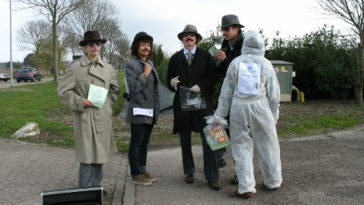 The blockade took place at the former De Ruiter Seeds, acquired by Monsanto in 2008, where research laboratories, offices, greenhouses, and a central storage for seeds and seedlings are to be found.